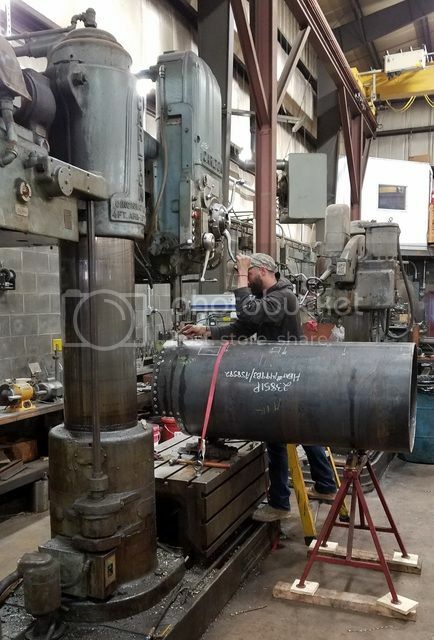 After completing the boiler overhaul for Huckleberry #152, a few details remained for us to clean up and ship west while the shop in Flint was remounting the boiler. 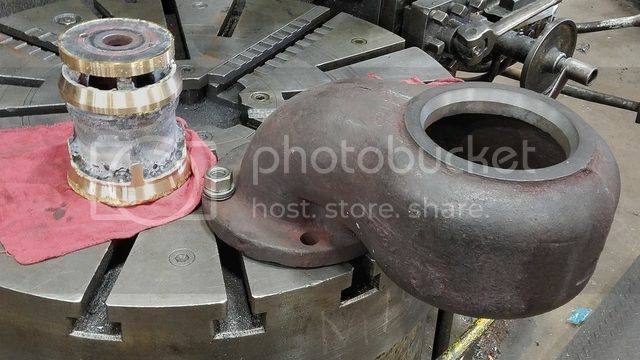 The turret needed the main valve bonnet threads renewed, but cracks were found in the iron casting, so it has decided to replace the entire turret. Casting a new one wasn’t practical due to the short lead time available. Several different versions of a built up turret here considered before it was decided to hog it out of a billet of 11” steel plate. Here is the new turret in process. Here is the finished turret, with its new bonnet and valve spindle. The projection on the side is for the steam gauge mounting bracket. This is #152’s throttle, with the seats remachined, and the thimble built up with braze, a technique that was given to us by Scott Lindsay that has proven very practical on our throttles. #152 also needed a new dry pipe tee in the smokebox after the original cracked during reassembly. Doh! 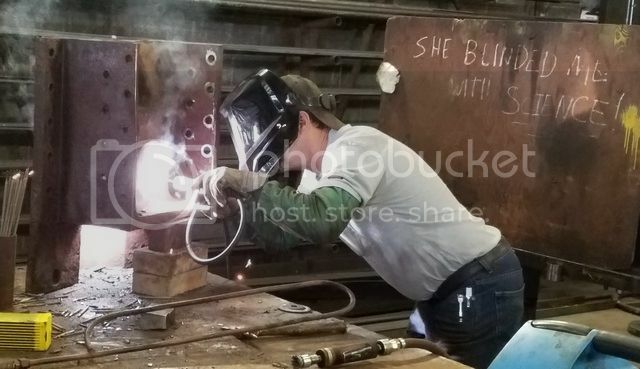 Here Richie is welding up a steel replacement. 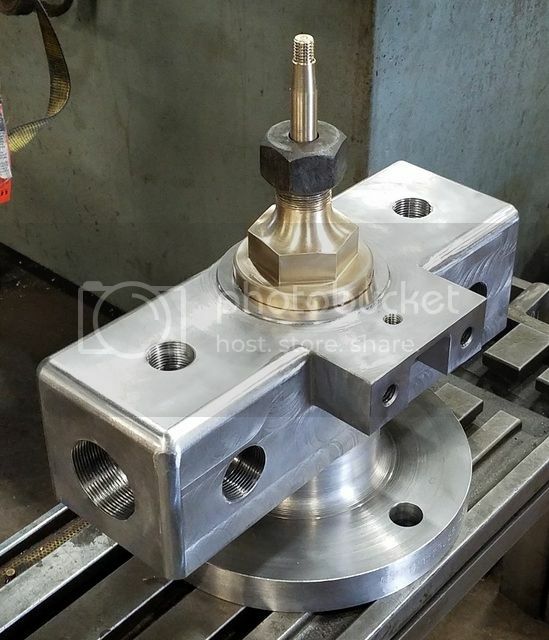 In this photo a King “metallic” packing for an air compressor piston rod is taking shape on the CNC mill. These packings are made of bronze filled Teflon. Here, Mike is drilling pilot rivet holes in a replacement boiler barrel for a small Porter 0-4-0. The back end of the boiler is in good shape, but the lap seam barrel needed replacement. 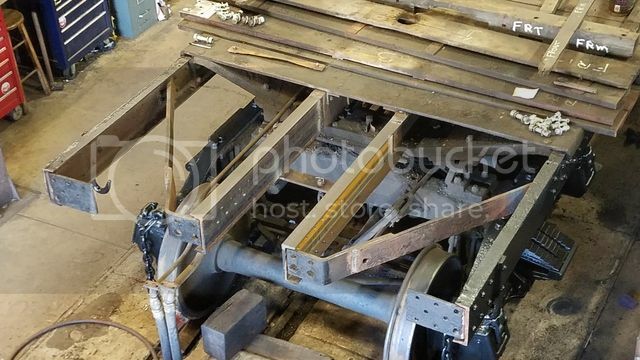 Our open car #99, the “Valley View” has been in the shop for interior work, with the side walls below the belt rail, metal seat hardware, and the floor replaced. Here, the seats are back in the car, ready to be reinstalled. The forward end of the center sill of #89’s tender was suffering from many decades of corrosion from coal dust and moisture, and this spring was a good opportunity to replace it. 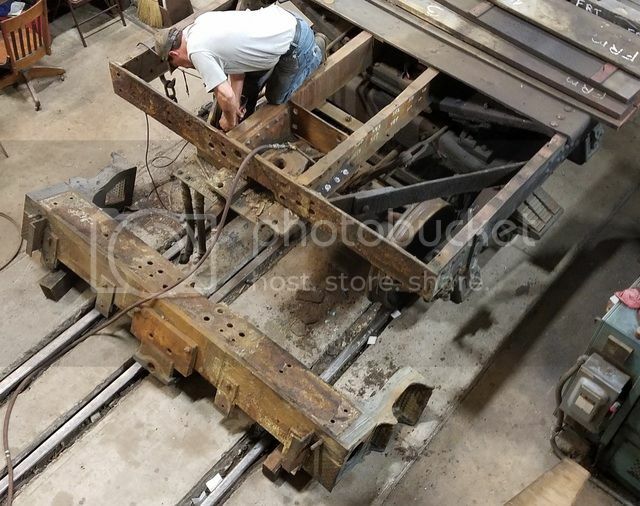 In this photo, John is removing rivets holding the drawbar pocket in place, as part of the disassembly process. 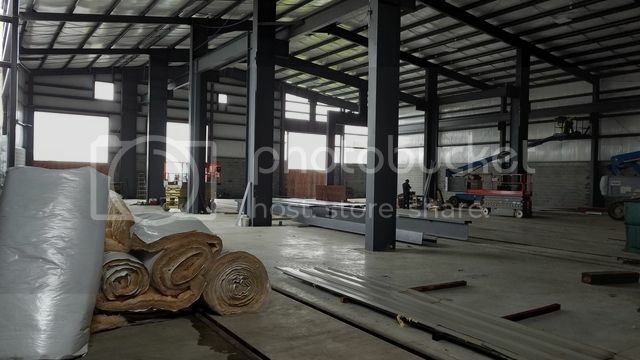 Here, the new channels are welded to the existing center sill. 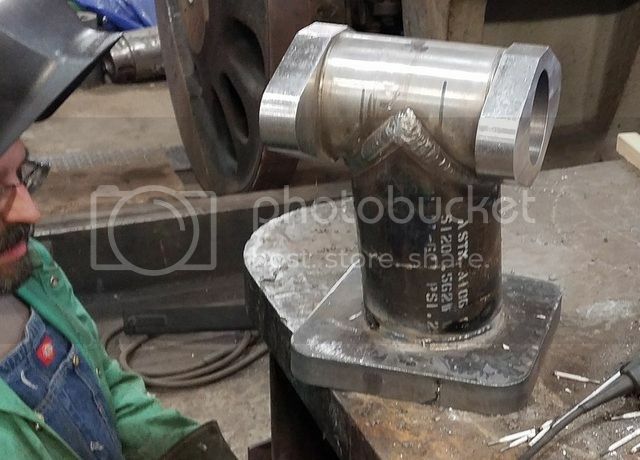 In this shot, John is welding up the drawbar pin hole in the cast steel drawbar pocket. It was worn badly out of round, and there will never be a better opportunity to repair it. 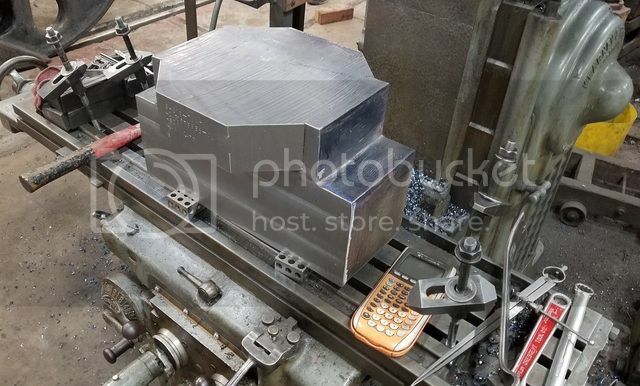 Once welding has been completed, the drawbar pocket will be set up on the milling machine to rebore the hole true. #89 is nearing completion of her 1,472 service day inspection. 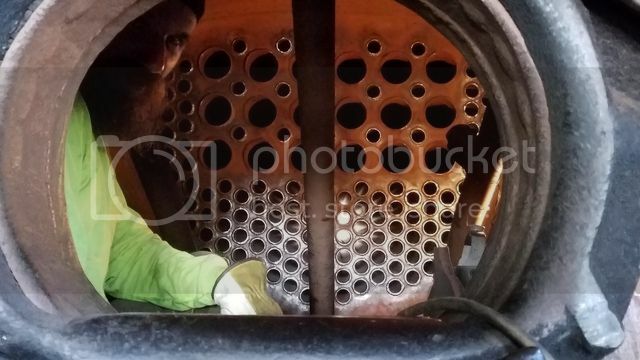 Mike is cleaning up in the firebox after completing rolling in and “seal” welding her new set of tubes. A second hydro to allow him to reroll any leakers will be the next step. 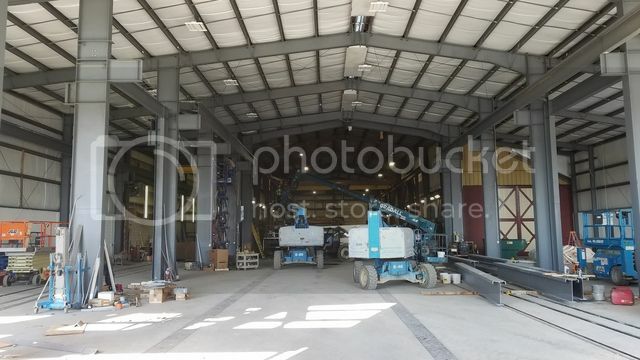 The addition to our shops is nearing completion. All of that beautiful empty floor space is being longed for by our staff. With the old east wall of the backshop now removed, it makes quite a vista to look from one end of the building to the other. Once again, most impressive work. a real piece of artistry. You all should be proud. 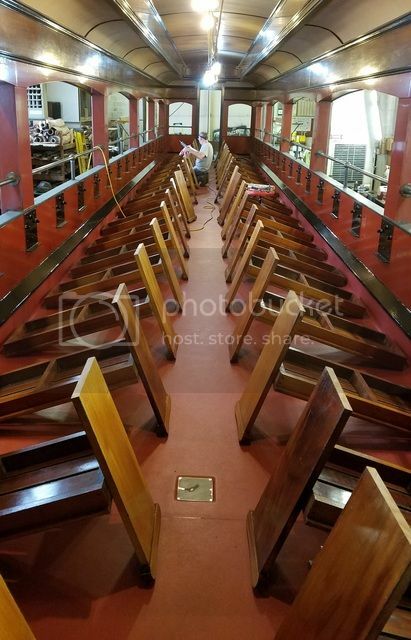 Kelly, thank you for again sharing the Latest from the Strasburg Shops with us. The skills of your staff are incredible! No better steam capability anywhere in America today. Just awesome. Thank you. I can just feel the floor vibrating from here on that long interrupted deep groove cut on that turret. Of coarse a 4 axis CNC mill would make short work of that, but the burn rate on those are a bit pricey if you can't keep it busy. On the bright side that billet will we 10 times stronger then the original cast iron. First class work as always! If it isn't top secret, is there and ETA for 89's return, assuming all goes well? No secret, but also not a top priority. She should be back in service by or before Labor Day (maybe), but we aren't selling tickets for her debut. I forget do you guys do casting? No we don't. 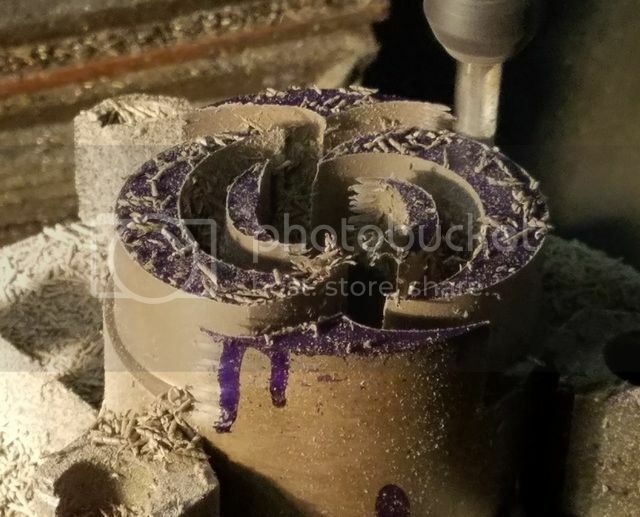 Occasionally we will make simpler patterns, but most pattern and all casting work is sent out to Fairmount, Cattail, or Flurry Foundries, depending on what is needed. We are fortunate to find ourselves with three good foundries within reasonable distance. That turret is beautiful. Work of art. She should be back in service by or before Labor Day (maybe), but we aren't selling tickets for her debut. Well put, by someone thoroughly versed in the vagaries of steam locomotive repair. Beautiful work as always. How blessed we are as an industry to have a professionally run, fully capable shop that can do just about anything and do it right. Here's hoping there will always be plenty og good paying work to keep the place fully engaged.